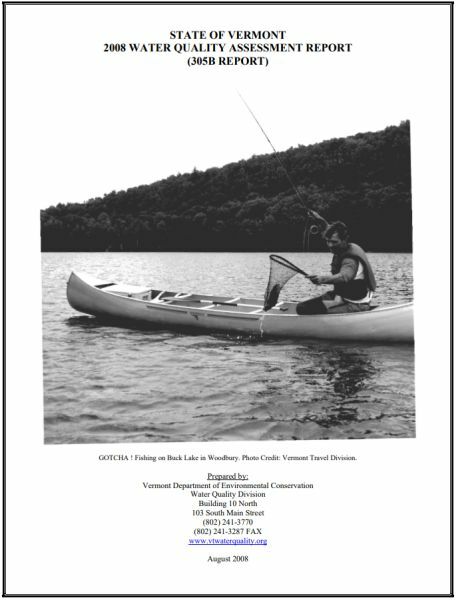 Section 305(b) of the federal Clean Water Act requires each state to submit a report on the quality of the state's surface and ground waters to the US Environmental Protection Agency (EPA) on a biennial basis. 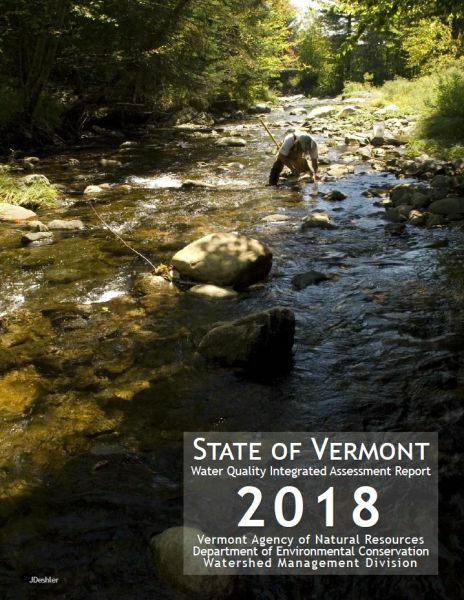 This 2018 report updates the known water quality conditions using the Vermont Surface Water Assessment and Listing Methodology with data from the 24-month reporting period of January 1, 2016 through December 31, 2017. 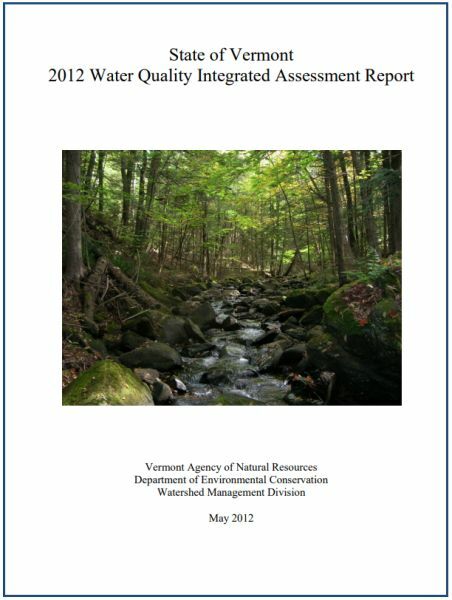 To access data that supports the listings below, navigate the Vermont Integrated Watershed Information System (VIWIS). 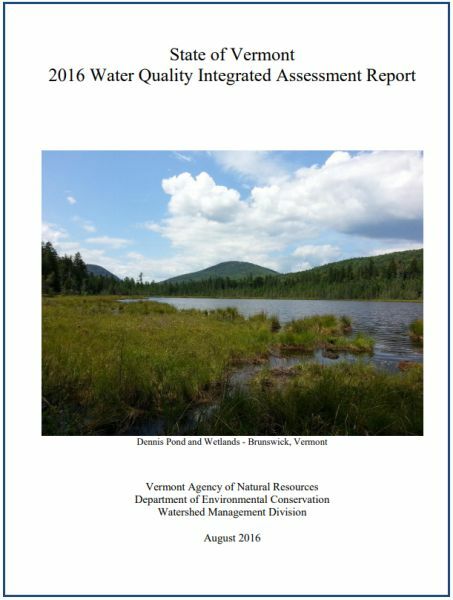 Section 305(b) of the Federal Water Pollution Control Act (also known as the Clean Water Act or CWA) requires each state to submit a report about the quality of the state's surface and ground waters to the US Environmental Protection Agency (EPA) on a biennial basis. 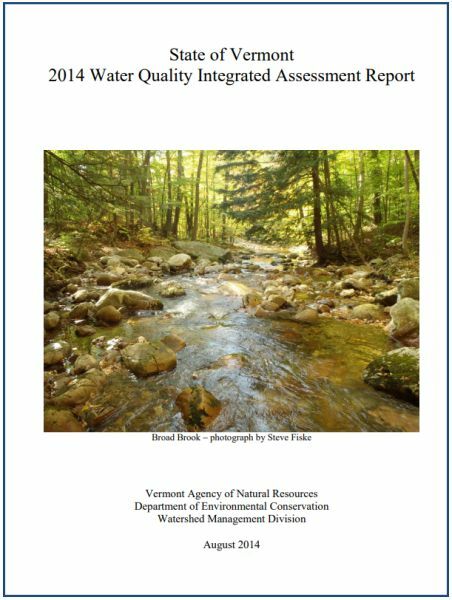 This 2016 Water Quality Integrated Assessment Report (305(b) Report), prepared by Vermont’s Department of Environmental Conservation (DEC) summarizes water quality conditions throughout Vermont with the known conditions as updated with information and data from the 24-month reporting period of January 1, 2014 through December 31, 2015. Section 305(b) of the Federal Water Pollution Control Act (also known as the Clean Water Act or CWA) requires each state to submit a report about the quality of the state's surface and ground waters to the US Environmental Protection Agency (EPA) on a biennial basis. 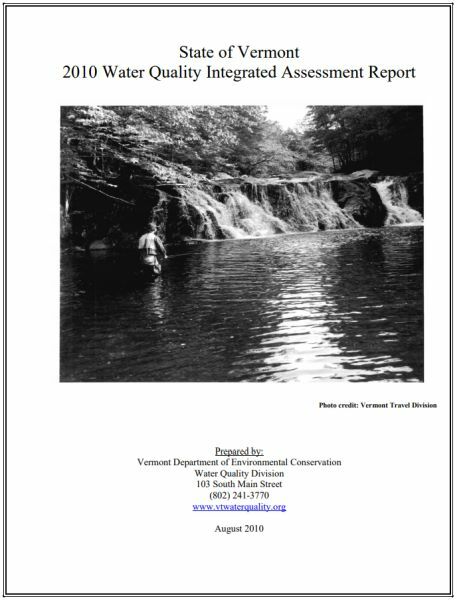 This 2014 Water Quality Integrated Assessment Report (305(b) Report), prepared by Vermont’s Department of Environmental Conservation (DEC) summarizes water quality conditions throughout Vermont with the known conditions as updated with information and data from the 24-month reporting period of January 1, 2012 through December 31, 2013.